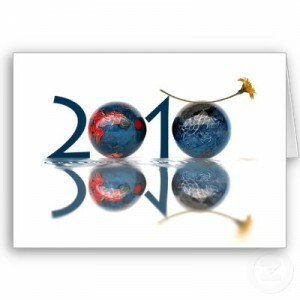 It’s the last day of the year.. so what did I accomplish in 2009 / what did I learn? Still being self-employed, that I very much like! Obviously I haven’t really thought about what I’m going to do in 2010. I usually don’t think of New Years as a new beginning. To me every day is the same. Only recently weekends became fun again. It’s the day most of my friends and family aren’t working. The weekdays are when I get work done (huge to-do list); the weekends are usually when I take it easy. Content: Type of Content, Usage and Results! Content without proper SEO is hard to rank for regardless of the type of content it is, especially if you do not do any niche or keyword research beforehand. Duplicate content can rank well depending on how your SEO is; you will not get penalized for the most part, unless your blog is clearly a spam blog. You want to create useful autoblogs full of useful information not only for your visitors but to keep your website from being labeled as a spam blog. Google doesnâ€™t give penalties to websites that have duplicate content; they just wonâ€™t rank the content as unique and will force the content to compete with other duplicate content for position. Itâ€™s harder to rank in search engines with your duplicate content without solid backlinking. If your website adds no value, and is later reviewed by Google, it can be deindexed as a spam blog, but this rarely happens unless you are clearly spamming Google. Google loves unique content. Depending on the content, you can rank easier for researched keywords. It takes effort or money to acquire unique content. It takes more effort in building autoblogs with unique content. Can be automated with rewrite plugins. Or you can do it yourself, or pay someone to do it for you. Plugins can be tweaked for better results. If rewritten properly, said content is just as good as original content. Rewrite plugins sometimes leave unreadable content, which isnâ€™t good for visitors or your Google results. If reviewed your blog could be considered a spam blog and deindexed if content is poorly rewritten. For those interested, this is a snippet from my new autoblogging eBook I’m working on. Hopefully it should be out in a couple weeks. I’ll post more details when I can. A Summer Slowdown or a Seasonal Switch? Many people understand during the summer months there tends to be a slowdown in sales, but they donâ€™t understand why. From my understanding itâ€™s not so much a slowdown sort to speak, but a switch in demand from indoor products to outdoor products. During the summer monthâ€™s people tend to be outside more often than in the winter months, and so they do more outside activities. A lot of people tend to go on vacation for example, or pursue more outdoors hobbies. The fishing industry as well as the camping industry has their busiest time in the summer months. Many other retailers by contrast, such as DVD rental or toy manufacturers have their slowest period then. 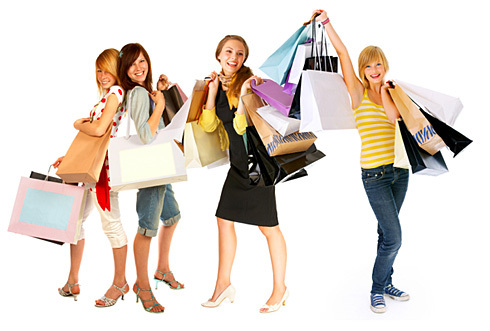 There are some industries that constantly have steady sales all year long. For example clothes manufacturers that sell both summer and winter ranges, or stores that sell essential products such as bread and milk, or newspapers. The sale of these products isn’t affected at all by the weather or seasons, because hot or cold, they are still needed by most people. 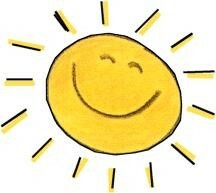 So in fact it really isn’t the case that businesses in general tend to slow down in the spring and summer months. The reality is that there are just different types of businesses and different retail sectors that are going through their own busy times. This shows us that to an extent many products are more seasonal than they might appear to be. Most people when asked to name a seasonal product would say ice cream. Obviously more is eaten in the summer then the winter. But it seems to be that all non essential retail products are seasonal to some extent. Like I say all the time being diversified keeps you going. I like to sell a mix of must have products and entertainment products. I find my entertainment products tend to sell better during the summer months and educational products do better in the winter months. If youâ€™re struggling this summer, think about what youâ€™re selling and how much of a demand it really is these days. Just know diversification is the key to success in anything you do. If youâ€™re having trouble finding the perfect product to promote this summer, I recommend using Google Trends. With Google Trends, you can compare the worldâ€™s interest in your favorite topics. 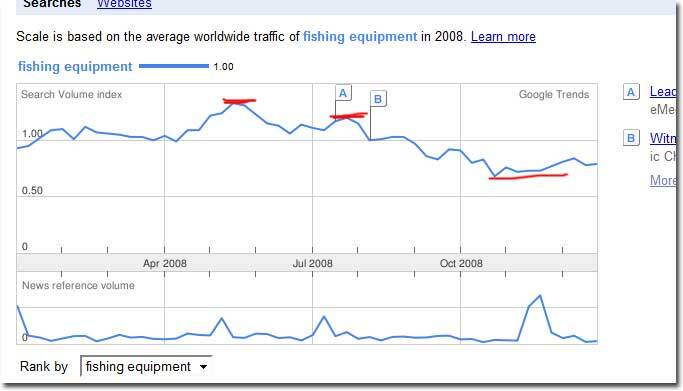 Enter up to five topics and see how often theyâ€™ve been searched on Google over time. Google Trends also shows how frequently your topics have appeared in Google News stories, and in which geographic regions people have searched for them most. 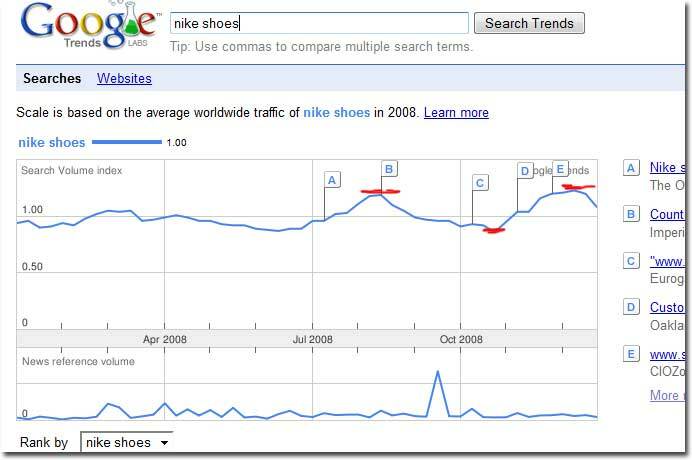 For example here is a trend search for Nike Shoes..
As you can see Nike shoes search tends to peak around August, obviously for the new school year. And again around Christmas for gift giving. That’s when you’ll see the most sales for Nike shoes. Okay now we look at fishing equipment. As you can seed during the summer months is when fish equipment is more popular, but during the winter months it’s pretty much an afterthought. Give Google Trends a try and see how you’ll do this summer. Okay, I Can’t Hold My Excitement Any Longer! Hehe, either it’s the second shot of Monster energy in me, or I’m just excited about my next eBook I’m working on! Not only do I love doing eBooks now, even though I hate writing, but I love the fact that when writing an eBook I learn so much more about the subject it makes it all worth it. So I just finished the first version of Webmaster Blueprint, an eBook about learning how to start on online business with your own website and how to market it. I need to come up with a new tag line..
Webmaster Blueprint! The best damn internet marketing eBook out there, a Beginners guide to starting an online business and Marketing it for EXPLODING SALES! YEAH!!!!!! Bi*CH!! Haha.. Monster Energy is Awesome! Ah, I forget what’s my new eBook about? The secret I didn’t want to talk about in one of my lastest post? It’s for the lazy Black Hat Marketer! I find at times I’m a pretty lazy person, other times when I have monster in me I’m apparently not so lazy. Okay enough delay, my new eBook which is still in the research stage will be on Auto Blogging! It’s the process of setting up dozens, even hundreds of Blogs that run on autopilot! If your auto blogs are setup correctly you can easily make hundreds even thousands of dollars a day with them. But it’s not an easy process! 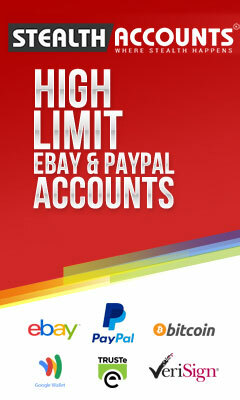 I want to stress this, it’s not all fun and games and not for a quick buck until you master auto blogs! I’ve been auto blogging for a couple years now, and the blogs I have, some are doing very well and others are on life support with me reaching for the cord. Auto blogging can be fun because you can watch and nurture your auto blogs into a money making machine that can drive tons of traffic to anything you want really. If you have a business you want to promote, setup a dozen or so auto blogs and point your blogs to your business website. I used to do that when I sold virtual currencies for online games and it worked very well. If you’re an affiliate marketer, add your affiliate offers all over your blog for sales. Currently I like to presale a product with landing pages, also I have banners setup to promote affiliate offers and I collect emails to promote more products later on! 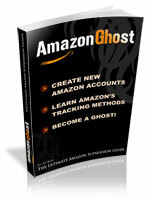 It’s awesome and it generates me hundreds of dollars a day on autopilot. 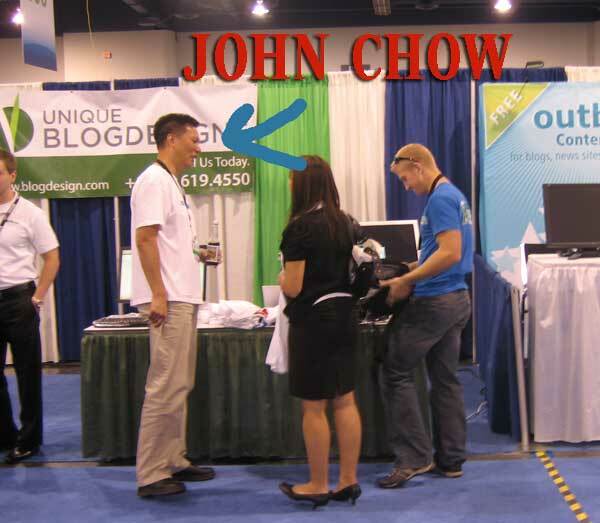 I do a lot of things to make money online, and I found auto blogging and selling my own product seem to be the best bet for making solid long term income online. I’ve been making money with auto blogs for literally years now… and that’s the way I like it. I’ll keep you guys updated on the status of the Auto Blogging guide. My monster drink is making me crash so I must nap now. Are you an Optimistic or Pessimistic person? 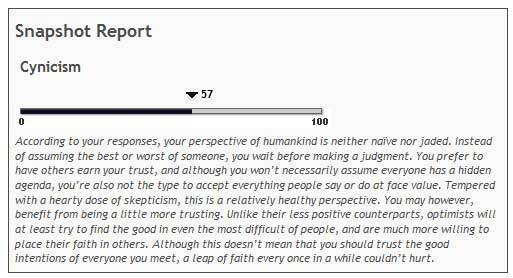 For me, I truly believe the above Snapshot Report for me is Correct, but at the same time… I feel like the World is about to explode and I’m in the calm before the storm. Maybe to explain it better have you seen any of these movies before? Yep, and I’m always the one survivor who has to save the world. Out of 99.999% of people that don’t make it, the Road Warrior and I have to fight off the baddies. But that’s for another post. 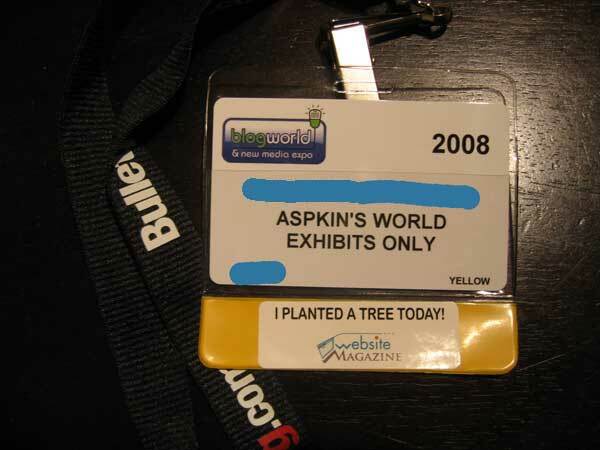 Today I went to the BlogWorld & New Media Expo. I usually don’t go to these conventions but since I currently live less than a mile away, I decided to go. My first impression for the three day event wasnâ€™t great. I got bored the first 15 minutes I was there. I couldn’t understand why I paid $100 to go when it seemed they should have paid me. I mean there were about 50 booths of random companies, some I knew and others not so much, that all seemed to just want to push their product. But then I found the free stuff! Almost every booth had some free item they we’re begging to give away. I wish I brought a backpack I had so many t-shirts, sunglasses, pens, and other random items I couldn’t carry them all. Tomorrow I’ll be prepared though! I just got a free Paris backpack a few days ago, and I’m going to put it to good use! I’ll report back if I get any extra nifty items. 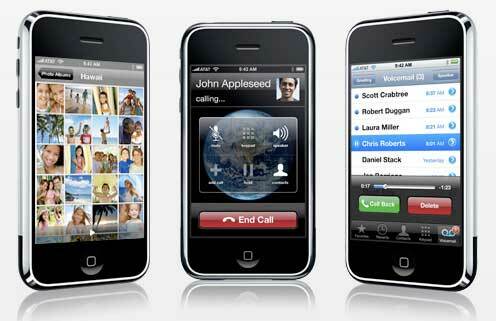 iPhone 3G – The Best Device Ever Invented? The iPhone 3G! I don’t know how I survived without it; I mean for one it’s a GPS device. I used it for my road trip from Texas to Las Vegas not even a month ago. It’s the full blown internet with a real browser that works just the same as any other browser on a computer. It’s 3G so it’s fast and if I want an even faster connection I can connect it to a router and I get the same speed as my laptop. I can have emails pushed out to it every few minutes; the apple store is ridiculous with the amount of content you can download, free and paid applications worth every penny. And it’s my iPod! It’s an all in one device that keeps getting better! As some of you know, I recently moved to Las Vegas, NV to try my luck with semi-professional Poker. Before I moved here I knew the basics of Poker, what I like to say 70% of the game. As I moved in I felt my level of knowledge increased to 80%. A few weeks have passed now I feel Iâ€™m up to 91% of understanding the game, and strategy of poker. So far Iâ€™ve learned to keep a watchful eye on Flushes and Straights; when playing sets donâ€™t be too hasty to fold them even when a flash or straight is on the board, you could make a full house and recently not be play scared. If youâ€™re playing scared, youâ€™re easily found out and youâ€™ll be out played every time. Just an update on what Iâ€™m doing. I plan to be here for a couple more months and if things go well, I may end up staying. 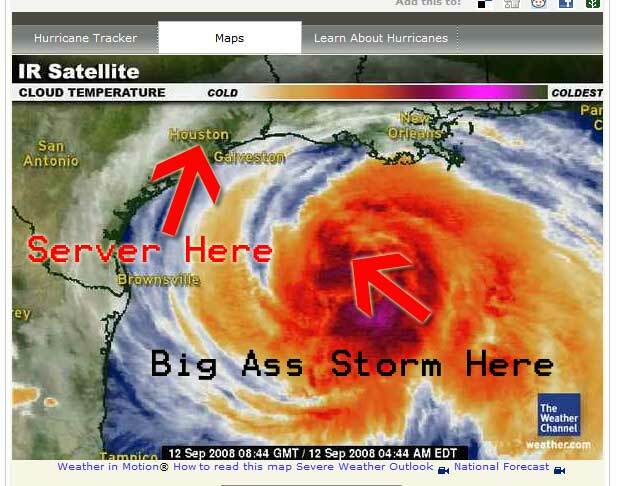 As a side note, you may have heard of Hurricane Ike hurdling towards the Texas coastline as of now, what you probably don’t know is that the server that host this website is in the line of fire. Hopefully nothing happens, but just as a warning see below illustration for details. It’s that time of the year again, kids are going back to school and money is moving! It’s said to be the second-busiest shopping season of the year after Christmas. Kids need new clothes, shoes, gadgets, school supplies, books and lots of other things now! 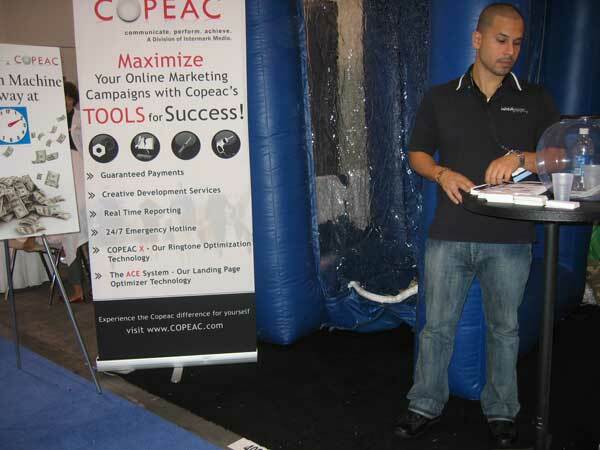 If you haven’t geared up already, it’s time to launch more auctions, and get your products seen by more shoppers. Talk to your potential buyers on a personal level, use ‘you’ a lot. Emphasis a fast delivery and how easy it is to use your product. If what you’re selling is NEW, say it! If it’s the latest gadget out there, let it be known. Good luck guys! Get those sales going!